Situated on the southern section of the M25 corridor close to Kent’s border with Surrey, Westerham is undoubtedly one of the best locations in the region. 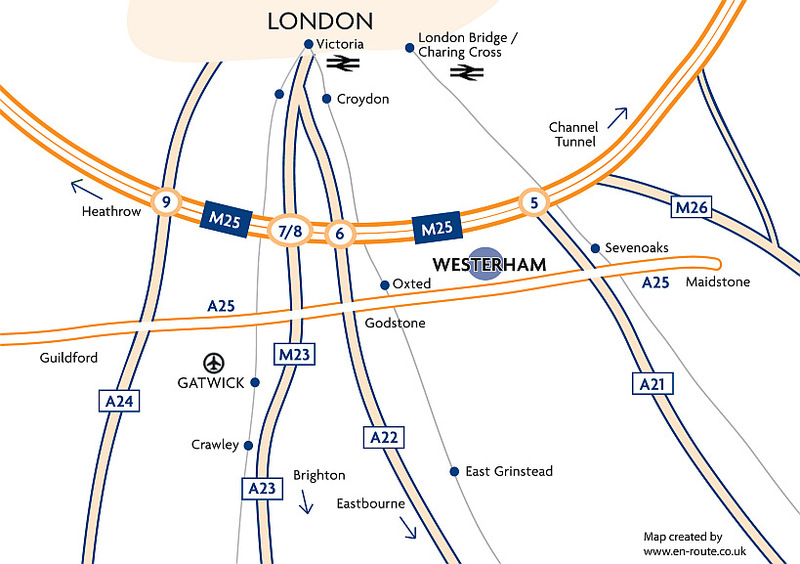 Gatwick, Heathrow and the west are simple to reach via Junction 6 of the M25, some 6 miles to the west, with Junction 5 within 5 miles to the east, providing straightforward access the Dartford Crossing, M20 (to the Channel Tunnel) and the east. The A21/M25 intersection is only one mile further than it is from Sevenoaks Town Centre! 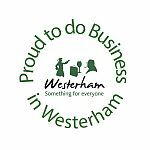 People love working in Westerham: business is offered the best of both worlds. A high proportion of single and double rooms, larger premises and a light industrial estate all serviced by superfast broadband. Its history, architecture and picturesque country setting, combine with truly first class restaurants, banking facilities and an array of retailers to provide this unique and exceptional town with a top notch quality of life for our thriving business community. Add to this an excellent selection of top quality recreational facilities including Westerham’s own fitness centre (MoorEnergy Fitness), the outstanding golf course at Westerham’s Golf Club, and the glorious countryside just a step away, attracting and retaining staff could not be easier. Commuting to Westerham is easy. Unlike locations such as Sevenoaks with traffic light junctions, mini-roundabouts and at least nine school runs to contend with, driving to your office in Westerham is, more often than not, a stress-free experience. Unlike larger towns, most of the office buildings have generous amounts of car parking (car parking ratios of between 1:125 and 1:175 are quite common). Few locations can compare with this! Any overspill can easily be accommodated in the two town car parks – for a daily fee of just £1.50.